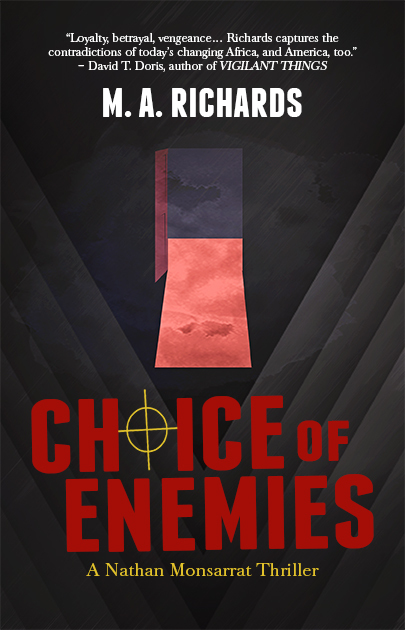 CHOICE OF ENEMIES is the first in a series of espionage novels featuring Nathan Monsarrat, a retired Central Intelligence Agency deep cover operative with an extensive knowledge of black gold and expertise in weapons, women, and Benjamins. Light sweet crude is the mother’s milk of the Niger Delta. As the price for each barrel of oil rises on the international markets and the stakes for securing the black gold increase, a consortium of American oil companies and the Central Intelligence Agency plot to secure the flow of the crude. In Africa, though, plans unravel as quickly as cheap socks, and promises between partners have the lifespan of a mayfly. Nathan, now a Dean at a small college in Massachusetts, is visited by his former mentor at the Agency, who offers him a blunt choice: either travel to the Dark Continent to lay the groundwork for the coup d’état, or condemn the woman who saved his life to a brutal execution. Out of options, he returns to Africa, where he discovers that the Agency plans to reward his services with an oil soaked grave. Assisted by a coterie of new and old allies, including a beautiful vor with a thirst for power and a yeshiva bocher with a fondness for Armani suits, as well as his own sharp intelligence, considerable wit, and substantial charm, Nathan parries the Agency, circumvents the consortium, and exacts his own vengeance. In doing so, he learns that his choice of friends is as important as his choice of enemies. In the cool of the African dawn, six armored Suburbans bulled through the sodden Delta jungle toward Bonny Island. In their wake, whirlwinds of red dirt billowed upward toward the crown canopy. Inside the vehicles, frigid air filtered the jungle stench of rot and decay. Felix Sanhedrin, a twenty-five-year veteran of covert operations in Africa and the Middle East, sat on the rear bench of the convoy’s second Suburban like Allan Quatermain returned to the Dark Continent. White linen slacks, a blue Oxford shirt, a silk ascot, and a freshly pressed, khaki bush jacket adorned his thin frame. A device more computer than chronometer rested on his left wrist. His felt slouch hat boasted a faux leopard-skin band, and his canvas jungle boots gleamed. A Glock 19 nested in a leather holster on his right hip. Benjamin Franklins, and he carried with him, like a talisman, the blessings of the Mandarins who guided the operations of the Central Intelligence Agency in Langley, Virginia. Despite their stated policy to never negotiate with the enemies of the United States, Sanhedrin had convinced the éminences grises to ransom his assistant, Nathan Monsarrat, from the rebel group called Fighters Against Terror in Africa, or FATA. He issued orders like a young boy presenting Santa Claus with his Christmas list. tactical pants, jungle boots, baseball cap, Nomex gloves, and sunglasses. Years beneath the African sun had braised his face and arms. He was clean shaven, and his hair was cut in a brown bristle. Military tattoos covered both his forearms, and blue veins latticed his knotted muscles. He carried an M4 rifle, a brace of Heckler and Koch P30 pistols in nylon holsters strapped to his thighs, a combat knife, commo gear, and four P30 magazines looped onto his belt. The shooter’s vest held extra M4 mags. “Funny we haven’t met before, me being the chief of security for the biggest oil services company in Africa,” Palmer offered. “Former army?” Sanhedrin asked, although he had memorized the personal history of every man and woman in the convoy. Shafts of golden sunlight as thin as reeds cast shadowed patterns on the hardscrabble road. Joe Marinelli drove the Suburban, while Frank Rollins navigated in the shotgun seat. They might have been clones of Palmer. They wore the same clothes and carried the same equipment, save each sported a mustache, closely trimmed beard, and hair plaited into a single braid, blonde for Rollins and brown for Marinelli. “Rangers for Joe and me,” Rollins answered. “You know him?” Sanhedrin inquired. In the front of the Suburban, Rollins and Marinelli eyed the dirt road for threats while listening hard to the conversation. Each bore scars from prior Langley operations. “Me? An Agency spy? Perish the thought!” Sanhedrin protested. “Let’s hope none of us is headed for Valhalla,” Sanhedrin sniffed. 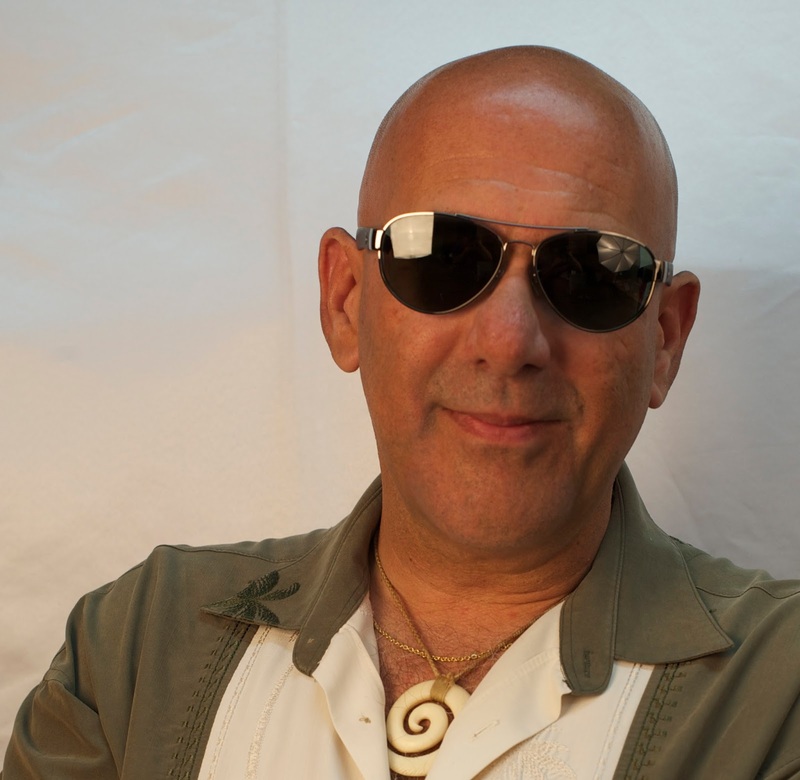 M. A. Richards is the author of the Nathan Monsarrat international espionage novels. Born in Lowell, Massachusetts, he received his Bachelor of Arts degree in Theater Studies from Connecticut College and his Master of Arts degree in English from the University of Massachusetts at Amherst. During a career as a Cultural Attaché in the Department of State that spanned more than two decades, he served in Baghdad, Jerusalem, Lagos, Moscow, Seoul, Tel Aviv, and Washington, D.C. He also served at U.S. Pacific Command in Honolulu as the Special Advisor to the Commander. He speaks Arabic, Hebrew, Korean, and Russian. M. A. divides his time between Palm Beach and Tel Aviv, where he indulges his passions for motorcycles, photography, and archaeology.